The little size and long battery life of 6-8 hours makes the air quality monitors very easy to carry. Can be charged using any USB power outlet in your car, laptop or power bank. 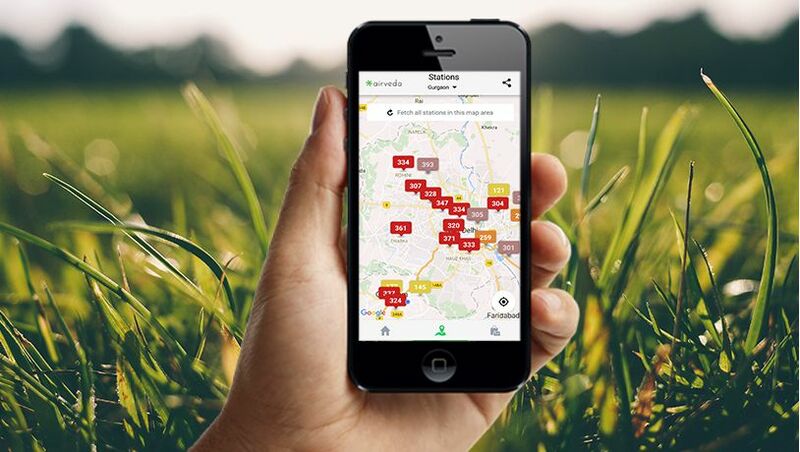 It measure your air quality every second so you can see the air quality where you are, in real-time. Airveda monitors are completely manufactured in India. Sensors are also calibrated locally to suit Indian conditions. Sensors can be locally re-calibrated as well as replaced easily. Our manufacturing facility has been running for 30 years and is a trusted name in the local industry. Monitor stores data locally if no Wi-Fi is available for up-to two days and data is uploaded to server when Wi-Fi becomes available. The default life of PM sensors is 1 year. However, a special feature allows the sensor to switch on/off at regular intervals to increase the life of the sensor considerably. This interval is configurable and can be configured to once every minute, 5 minutes, 10 minutes and 20 minutes. Connect to your office, home and youre personal hotspot Wi-Fi and remotely monitor data and get warnings in the Airveda app. It's available on iOS and Android for free. 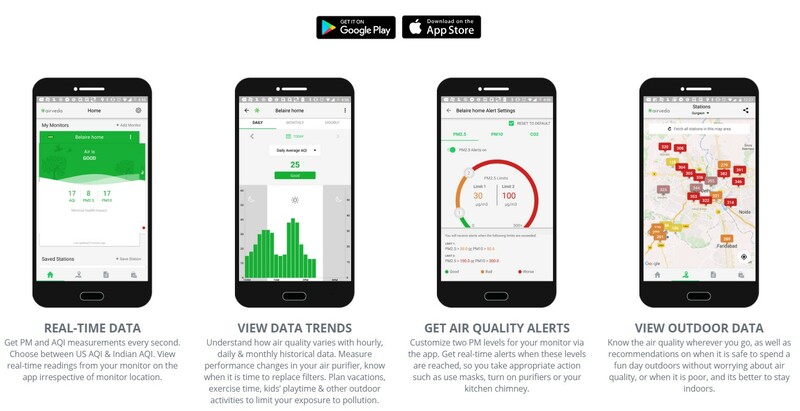 Observe current and historic data, understand your exposure over time, as well as compare with outdoor air quality in your city.